1. There is certainly no shortage of things to do in Bournemouth this festive season, and to help get you in the spirit, we’ve compiled a list of some of the most glistening highlights. 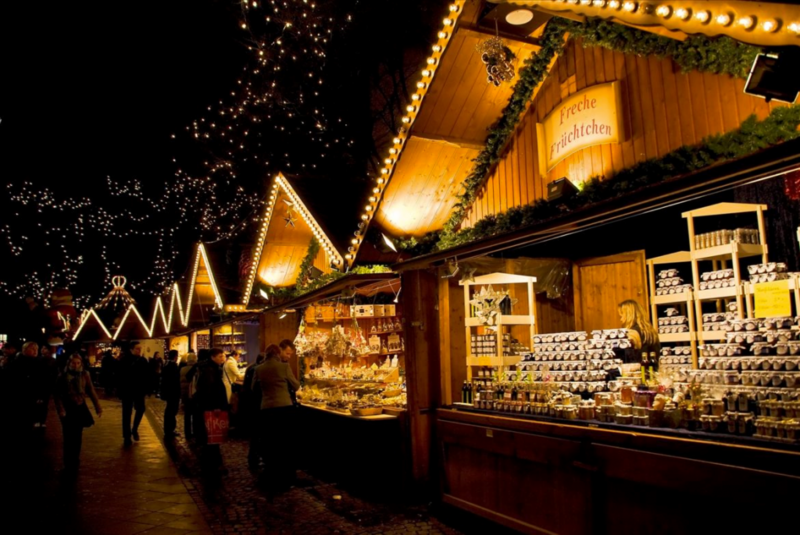 Bournemouth’s famous Christmas Market makes a welcome return on Friday 17th November, and is set to be bigger and better than ever! The Alpine Market will be home to new faces from both the catering and retail sectors, and I’m sure we’re not the only ones to be excited by the prospect of the two-storey custom built Alpine Lodge opening its doors and making its mark as the new ‘German Bar’. The Lodge will serve festive meat selections and cheese boards to compliment traditional beverage favourites such as warming mulled wine and cider. The Lodge will have more inside and outside seating than ever before, all set in the perfect festive atmosphere. This year’s event is brought to us by event producers, Seventa. 2. 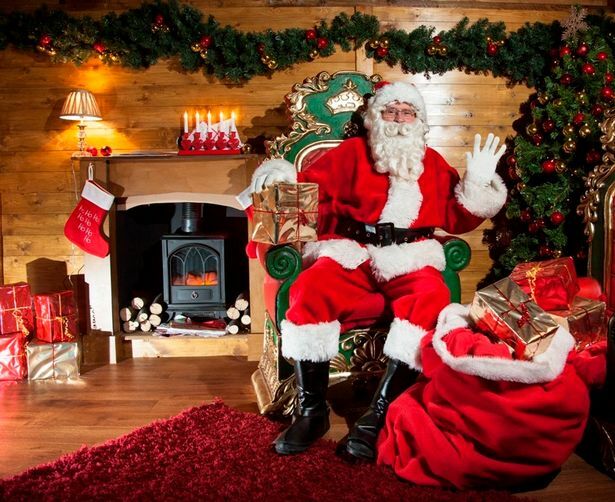 One for the kids, after three years of absence, Santa’s Grotto is back in Bournemouth Town Centre and will be open from 24th November to 24th December. The Grotto features an interactive walkway leading up to meeting Santa in his wonderland, accompanied by his trusty elves. 3. 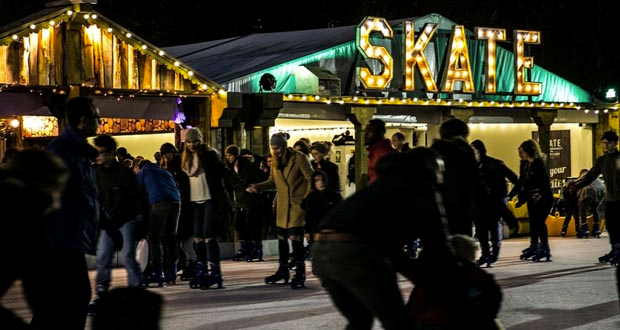 SKATE, Bournemouth’s popular outside ice rink, will be located within Bournemouth’s Lower Gardens and is certain to bring festive fun for all the family. The Ice Bar stands as a firm favourite and is the perfect opportunity to relax and enjoy a drink whilst catching up with friends after an energetic skate. Take the stress away this Christmas and enjoy being welcomed and looked after by the friendly service team. 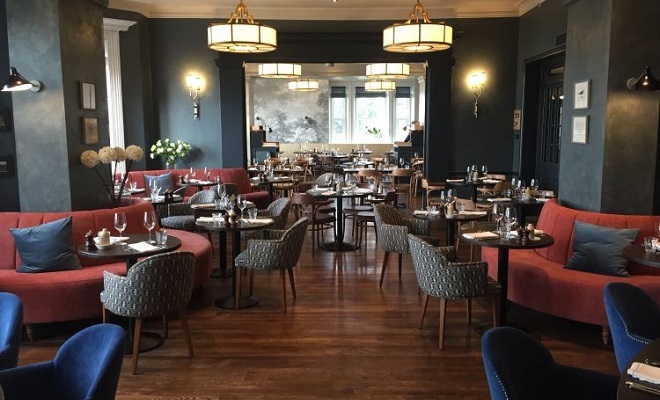 Offering a festive, six-course feast with Buck’s Fizz on arrival, Brasserie Blanc is situated in the luxury 4-star Marriott Hotel and will not disappoint. Be sure not to delay booking for this one as spaces are limited and are already filling fast. Make this Christmas extra special with this luxury lunch! There are so many exciting events on the calendar in the lead up to Christmas at some of Bournemouth’s most prestigious venues. In addition, we know the importance of choosing the perfect New Year’s Eve Party to attend, so we have plenty of recommendations for this too. 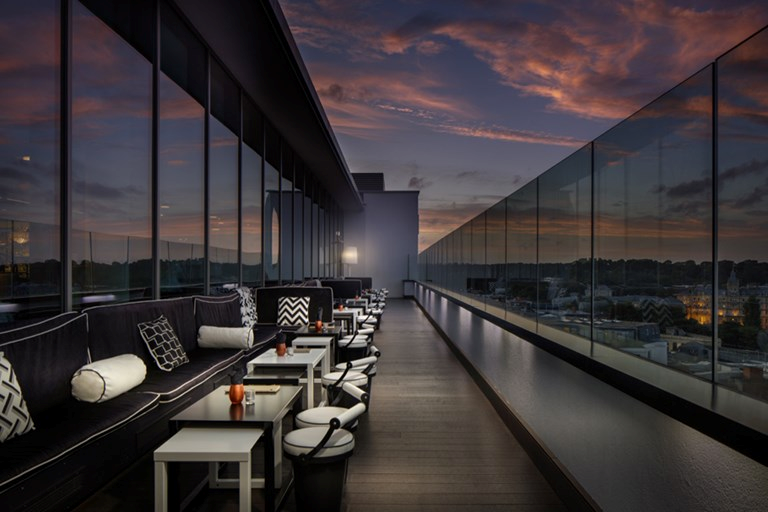 including the exclusive PRIVA party at The Hilton Sky Bar, and the Masquerade Ball at Bar So. In the lead up to Christmas, plan party nights out enjoying entertainment from fun themed nights, including the likes of Amy Winehouse, Michael Buble, Michael Jackson and Queen shows to name to just a few. This is just a selection of the events taking place at venues including The Hilton Skybar, Canvas, Bar So, The Village Hotel and Aruba. There are also fabulous themed nights such as The Christmas Variety Show at The Royal bath Hotel, and The Casino Royale Gala Night too. If you fancy something different, check out the PRIVA Christmas Brunch Party, which will be held in the fantastic setting of The Hilton Skybar on Saturday December 9th. For more info on that, click HERE. Check out the extensive events on offer HERE.